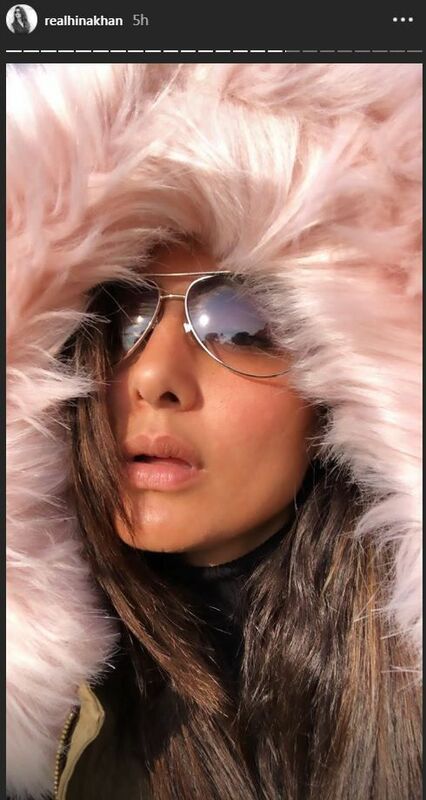 Hina Khan is shooting for her debut in Jammu and Kashmir. See pics from there. TV hotshot Hina Khan, who is currently seen as Komolika in Ekta Kapoor’s Kasautii Zindagii Kay reboot, is all set to make her Bollywood debut. The actress has taken a small break from Ekta Kapoor’s show to shoot her film Lines. The movie is currently being filmed in Jammu and Kashmir. 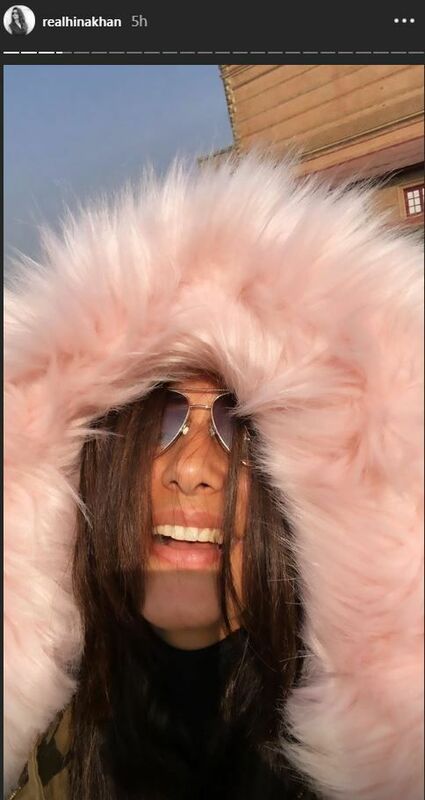 Hina shares a few pictures from the location and tells her fan how much she enjoys winters and can be seen playing with her fur jacket. Veteran actor Farida Jalal also stars in the film as Hina’s grandmother. 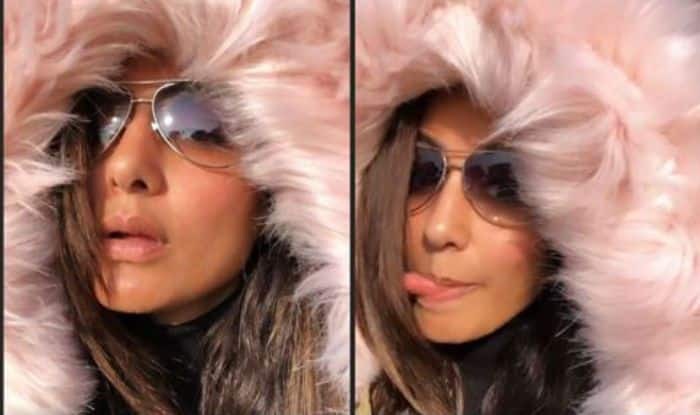 Hina’s Instagram story is full of her cute expressions. She is enjoying sunbath at Hari Mahal, Jammu. 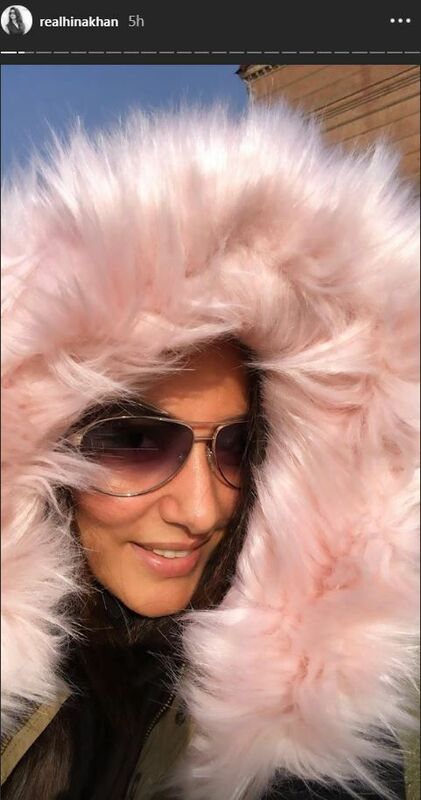 Earlier Hina Khan took to Instagram to share a glimpse of her film set. She has posted a few pictures and videos with Farida ji and they both sung Ladki Beautiful Kargyi Chul. 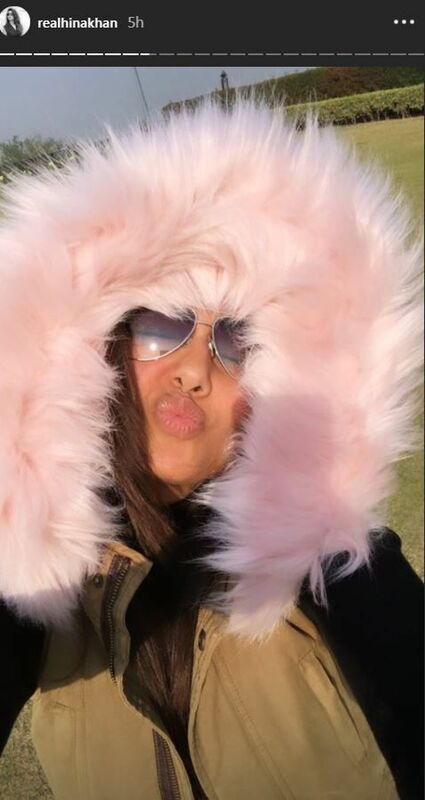 Hina shared the video on social networking site Instagram and wrote, “Daadi up to date kar gayi chull! Role reversal in life. #FunTimesWithFaridaJi Dude she’s a powerhouse… And there’s nothing in this world she doesn’t know… #UpToDateFaridaJi”. Hina’s bridal avatar from this film is also trending where she is seen posing like a Dulhan in a red dress with a dupatta covering her head. She is wearing heavy bridal jewellery including headgear and nose ring. Her dark kohled eyes and red lipstick completed her proper bridal look. She looks like a princess in the disguise and anyone can go head over heels for her beauty. Hina looks absolutely royal. Lines has been written by Rahat Kazmi and Shakti Singh and is being directed by Hussain Khan. 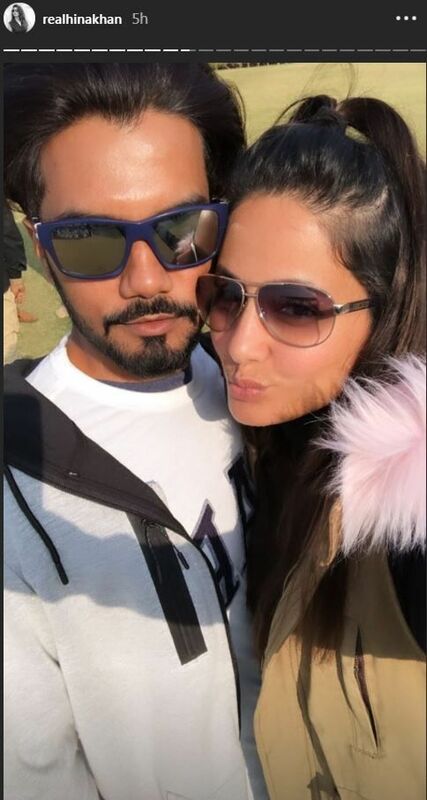 Hina Khan’s beau Rocky Jaiswal is also closely associated with the project.